On November 11th of last year, several Mauritanian anti-slavery activists were arrested near the southern border town of Rosso [full disclosure: I am a close personal friend with one of the detained activists, Brahim Ould Bilal Ramdhane, Vice President of the anti-slavery organization Initiative for the Resurgence of Abolitionism (IRA), and have met the organization’s president Biram Ould Dah Abeid on several instances in Nouakchott and in Columbus, OH. Additionally, I have assisted IRA on numerous occasions with pro bono translation work. ], the last stop on a caravan tour they were conducting through communities in the Senegal River valley. The aim of the caravan tour was to talk with farmers about issues of land tenure and educating them on their rights regarding access to farmland in the wake of significant land purchases by state elites and foreign investors. The caravan activists visited Haratin communities as well as those of Mauritania’s non-Arab minority groups, trying to overcome the sense of historical enmity between these groups and forge a coalition on this issue of common concern. The decision of state officials to dispatch the local gendarme contingent and halt the caravan suggests that they took the possibility of such a coalition as a serious threat to their authority. The charges against the activists – protesting without official authorization, belonging to an unrecognized organization, and fomenting public unrest – reflect the political nature of this incident. It is quite clear that land issues have become a lightning rod for ongoing social tensions in the river valley region, and could spark violent conflict if current trends continue. The implications of land privatization present a highly unfavorable scenario to the rural population of the region; essentially it is a re-emergence of feudalism backed by the power dynamics of the Mauritanian state as well as the processes of neoliberal capitalism. Access to land has been the basis of survival to all populations that have lived in the region, and now it appears they are in danger of losing it. For the Haratin, the biggest fear is that this trend will lead to a re-constitution of the master-slave power relationship, despite the official prohibition and criminalization of the practice by the state. Many Haratin were able to gain their freedom in the 1960s and 1970s when severe droughts disrupted the rural economy and prompted rapid urbanization. Since that time, Haratin have largely remained the poorest class within Mauritanian society. Many of them have retained close relations with their former masters, while others maintain a fragile sense of autonomy through poorly remunerated manual labor. Now that wealthy urban elites are moving back into the rural economy with land investments, the demand for labor and the historical patterns of labor exploitation suggest that slavery will become much more prevalent. But even if it is not outright slavery, Haratin farmers stand to lose what little independence they have and become economically dependent on the new land owners. For the Haalpulaar, Soninke, and Wolof communities, the stakes of land privatization cut to the very fabric of their existence. Throughout Mauritania’s postcolonial history, and especially since the 1980s, these communities have felt that the state does not want them to be part of the national community. The violence that erupted in the river valley in the late 1980s saw many Black Mauritanians expelled from their lands. 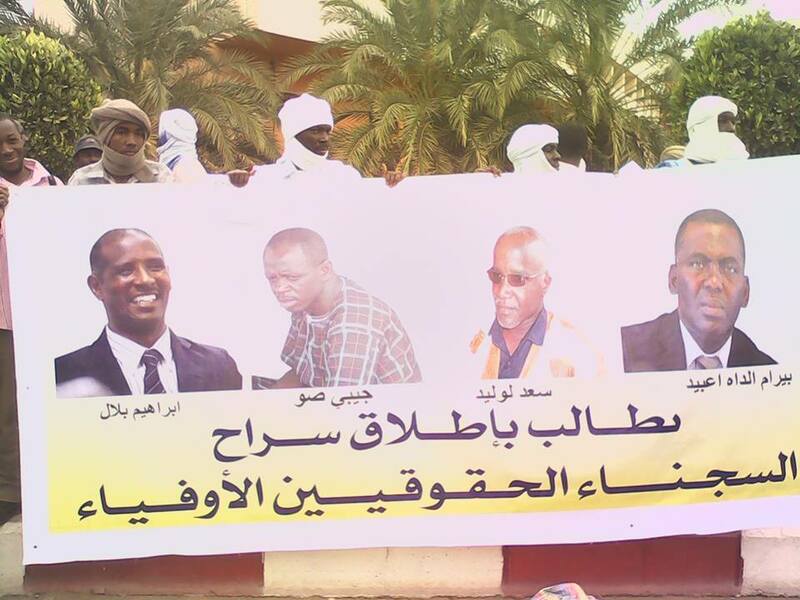 Since then, Black Mauritanians have endured second-class treatment from the state, and they are pretty much blocked from rising to positions of power and influence within the ranks of the government bureaucracy, the military, the national media, and the financial sector. Meanwhile, their communities receive virtually no development assistance from the state. Even when they do, the level of state cooperation is so minimal as to render development efforts ineffective. In one fieldwork conversation I had with Halpulaar rice farmers, people indicted the government agency in charge of managing the irrigation scheme for the rice field as either incompetent or actively sabotaging their planting efforts. Timing of irrigation is critical to the success of the operation, and these farmers told me how the agency would hold off in providing irrigation until it was too late to have a successful campaign. Despite the failed campaign, the farmers would still be on the hook for paying their share of the irrigation costs. Now that large expanses of cultivable land are going into the hands of state elites and foreigners, Black Mauritanians feel they can lose what little they have left. Many people fear that this would lead to their eventual erasure from Mauritanian society. The returned refugee communities comprising those who fled the violence of the 1980s and early 1990s adds another complex and painful dimension to what is transpiring in the region. President Ould Abdel Aziz, newly come to power through a military coup, promised to help smooth the transition, especially in the issuance of identity documents. But upon their return, these promises of material and institutional support to help these populations through their transition and re-establish their livelihoods on Mauritanian soil have been slow to materialize. Many have been unable to get their citizenship documents in order, meaning that they cannot gain meaningful employment and cannot even travel around the country. Efforts by these communities to draw attention to their plight met with state repression, when security forces intercepted and arrested a group of marchers who were on their way to the presidential palace. The land privatization that is going on in their midst is a major slap in the face when many of these returned refugees have nothing to show for five years of trying to reclaim their homelands. One person has told me that these people will not accept a second deportation, with the alarming implication that they would be desperate enough to fight to the death to avoid such a scenario. The political elite, for their part, feel that it is in their interest to further extend the territorial basis of their power. Land capitalization and privatization is the path of least resistance for these elites, even if its consequences bring suffering to the lower social classes who already live on the land. This process has played out elsewhere under different circumstances. For instance, land privatization has been an effective form of money laundering from narco-trafficking in localities throughout Central America, even capitalizing lands that had been protected by international environmental agreements. In those localities, many of those purchasing tracts of land have strong connections with national governments, similar to what is happening in southern Mauritania. Rather than profiting from the drug trade, Mauritania’s political elites have amassed personal fortunes largely through siphoning off aid money, economic investment capital, and military assistance funds. As such, privatization in the river valley does not enhance the productivity potential of the lands in question. It is more of a sink for excess capital and a way to make the local population more dependent upon their considerable wealth and resources. Political patronage thus becomes the basis of the relationship between the rulers and the ruled, and it is also the basis of survival for the ruled. The elite can perpetuate their position of dominance over the Haratin population while continuing to Arabize the culture of the national society. At this point, it is hard to imagine that the situation will move towards any kind of non-violent resolution that would be beneficial to all of the various stakeholders. Rather than the visions of a democratic future through national independence, Mauritania is just one of many nations across the African continent that seems to be moving towards an era of renewed feudalism. Meanwhile, those who try to oppose this process at the grassroots level risk losing their freedom or their lives. Former slaves and their descendents who speak the Hassaniya dialect of Arabic, Mauritania’s most widely spoken language. Unofficial estimates suggest that the Haratin community comprises about one half of Mauritania’s population. Given the route that the caravan took, these were most likely Haalpulaar or Wolof. Their path was too far down river to include any of the Soninke communities. According to reports, Mauritania’s president Muhammad Ould Abdel Aziz was in contact with local authorities leading up to the arrest. Ould Abdel Aziz himself stated that he was following the situation as it developed and approved of how the local authorities handled it. For instance, transporting goods in the market by hand or by donkey-cart will earn a laborer 20 ougiyas (less than a dime) per job. Christopher Hemmig is a Ph.D. candidate in the Near Eastern Languages and Cultures department at the Ohio State University. He is currently finishing up his dissertation exploring grassroots perspectives on development challenges among Haalpulaar communities in the Senegal River Valley of Mauritania. Tags: Ethnic Politics, Land, Mauritania, Slavery. Bookmark the permalink.